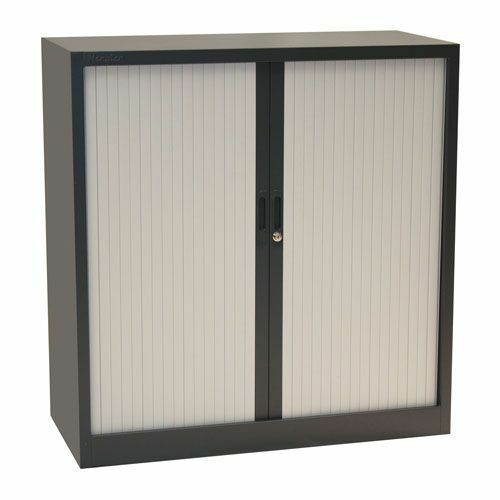 Sliding tambour doors allow 100% access without doors being swung open. Adjustable shelves for flexibile storage & suitable for hanging folders accessory. Secure cylinder lock to keep your contents safe and organised. Space saving design with scratch-resistant powder coating for durability. Available in various door colours. Dark grey steel cupboards with PVC sliding doors for smooth and easy access.